Family vacations are a wonderful way to create lasting memories (and photos) for everyone. What makes a trip with children especially successful is making sure to keep their interests in mind when planning your itinerary. That’s why we’ve pulled together a cheat sheet of fun things to do with kids in Anchorage. A pleasant 14 miles of paved track, the Tony Knowles trail curves along Anchorage’s Cook Inlet and forested land. Not only is this a great way to hop on a trail and get to know the city, but it can also be filled with wildlife-viewing opportunities. With moose sauntering past and bald eagles soaring ahead, there’s more than enough excitement to go around. During the busy summer season, Anchorage’s Peratrovich Park hosts this free series three times a week. Summer in the Park brings together local artists and musicians with a diverse crew of tourists, families, and locals just stopping by for a break. The event provides the perfect opportunity to keep the kids entertained while enjoying an al fresco picnic and luxuriating in the views. If you happen to visit in January, try the Anchorage Folk Festival for musical entertainment. The festival also offers free music workshops, including some geared specifically toward kids. When the Campbell Creek Science Center calls the outdoors “your classroom,” it really means it! With acres of forest to explore and diverse programming on topics such as the great horned owl and Alaska’s geologic past, the Science Center’s hands-on approach to education helps children gain a deeper understanding of the world around them. Just over a one hour drive outside of Anchorage, the Nancy Lake State Recreation Area features a flat, tranquil lakeside experience and the chance to hike lush forests or get out on the water in a canoe. In fact, the park contains unique “canoe trails” that allow families to canoe from one lake to the next — all while ogling the scenery and wading wildlife. The Alaska Zoo in Anchorage is definitely worth a stop for its focus on Northern animals – the only zoo with this focus in the nation. Kids will get a kick out of viewing the native species – such as Dall sheep and caribou – and if you happen to run into one of these critters in the wild later on (from a safe distance, of course! ), you’ll know exactly what they are. Hosting an impressive collection of art and collections that explicate the Alaska experience from all sides, your kids will likely be drawn to the Imaginarium Discovery Center, which brings science to vibrant life with a planetarium and exhibits about local phenomena such as the Northern Lights and volcanoes. Even more memorably, the Imaginarium allows visitors to create their own earthquakes or shoot an air cannon. Pretty much spells F-U-N for the whole family. Several Anchorage-based tour companies offer the once-in-a-lifetime experience of a boat trip ranging from three hours to all day. Sightings of whales such as orcas, humpbacks, and belugas are likely, and the tours travel to scenic locations such as Kenai Fjords, Resurrection Bay, and Prince William Bay. Don’t forget the glaciers. Some area tours make these natural phenomena a major focus as well, like Gray Line Alaska’s Portage Glacier Cruise. The William Jack Hernandez Sport Fish Hatchery, operated by the Alaska Department of Fish and Game, offers a free viewing area to witness the salmon hatchery in action. It also has a footpath along Ship Creek so you can view returning gigantic Chinook and Coho salmon in their natural habitat. Best viewing times are July through September. The Alaska Botanical Garden provides a nice respite from the city with its nature trails and multitude of themed gardens, but most creatively, the garden also offers free Discovery Duffels for check-out in its garden store. Crammed with activities and books specifically designed for kids, the duffels elevate the garden experience from “neat” to “amazing” and ensure an hour or two well spent. If your family includes teenagers as well as younger children, Anchorage’s H2Oasis Indoor Water park might just be the perfect solution for a day of family adventure. With a Children’s Lagoon and Pirate Ship for younger swimmers and a heart-stopping Master Blaster water coaster that drops riders 43 feet, there are more than enough thrills to go around for all ages, making it a favorirte thing to do with kids in Anchorage. If your young wildlife enthusiasts would like the chance to get even closer to the Alaska species they’ve seen at a distance or at the zoo, the Alaska Wildlife Conservation Center is truly a must-see. Here, brown bears, bison, and moose roam the 160 acres undisturbed, and all that separates your family from the ample action and photographing opportunities is a fence. You can rest easy knowing that the Conservation Center provides a space for displaced animals, including a group of musk ox babies that are pretty much guaranteed to wow even the most jaded family members. Built and maintained by representatives of Alaska’s original residents, the Alaska Native Heritage Center provides a multi-faceted glimpse into native customs and lifestyles of the past and present. Your kids will be riveted by the traditional storytellers, dancers, and athletes performing. Later on they’ll have the chance to see crafts being made, with the possibility of joining in on the crafting themselves. Reconstructions of customary shelters also offer a fascinating compare and contrast between the various tribes and how they adapted to Alaska’s unique environment. If it’s raining and you need a place for your little ones to play for a few hours, check to see if the Arctic Gymnastics Center is hosting its open gym that day. With a trampoline, foam pit, and tumble track to keep your kids bouncing and running, rainy days quickly morph into very happy days, indeed. Trains depart north and south every day from Anchorage and give your family the opportunity for the perfect day trip to soak in the views, all while someone else does the driving. The Glacier Discovery Train makes a stop at Spencer Glacier where passengers can connect with a U.S. Forest Service Ranger with expert knowledge of the awe-inspiring surroundings. Boat trips at Spencer Lake are also a possible add-on to the day, and will have your kids chattering to anyone who will listen all about the icebergs they saw. 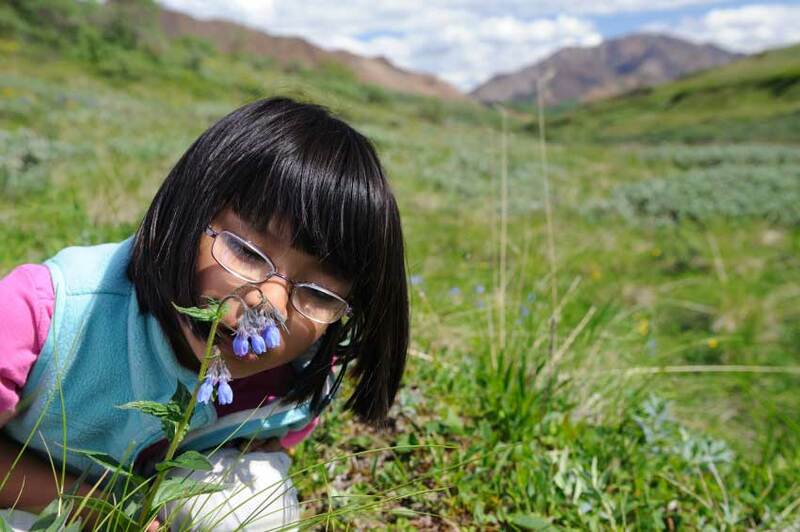 Have you tried any of these Anchorage family activities? Let us know in the comments below. See current specials at the Westmark Anchorage.